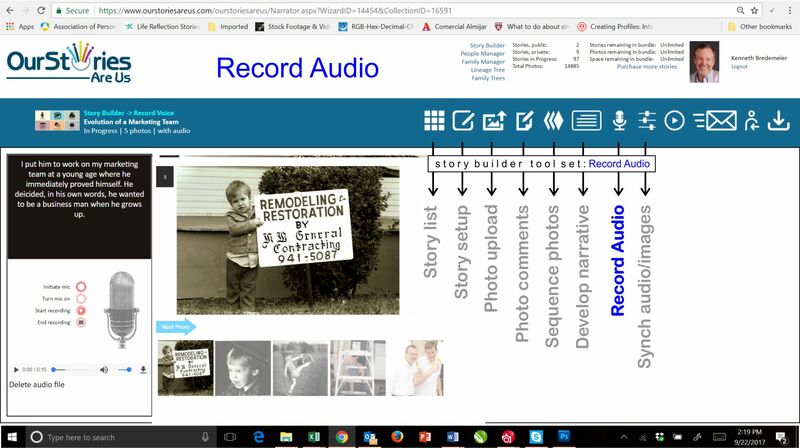 Above is a screen capture of the RECORD AUDIO function with a list of the Story Builder tools. Note the narrative for the first image top left and the microphone controls underneath. After “initiating” the mic and “start recording” the narrative is read as images are sequenced through. The end result is a story told in the voice of the person living the experience or another family member recalling the story..